Play Tropix favorites like Coco Bowl, Cascade, and Puffer Popper! Or try your hand at all-new games like Ice Cream Parlor, Stone Stacker, Fish Swap and more! 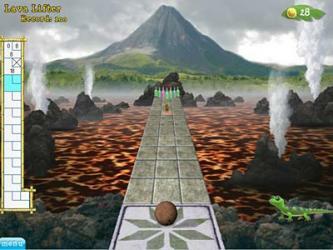 In Cocobowl, a game comprises 10 rounds and you can throw 2 balls per round. 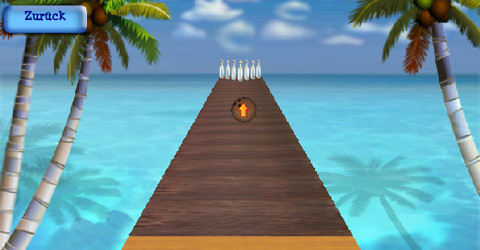 You progress to the next round if you throw a strike (knock down all 10 pins). If you manage to knock down all the pins in 2 tries, you will receive a spare. Your reward for a spare is that the points from the first throw of the next round will be added to the spare you won in the previous round and will also count as normal points in the round in which you scored them.